I found this on the pear tree. 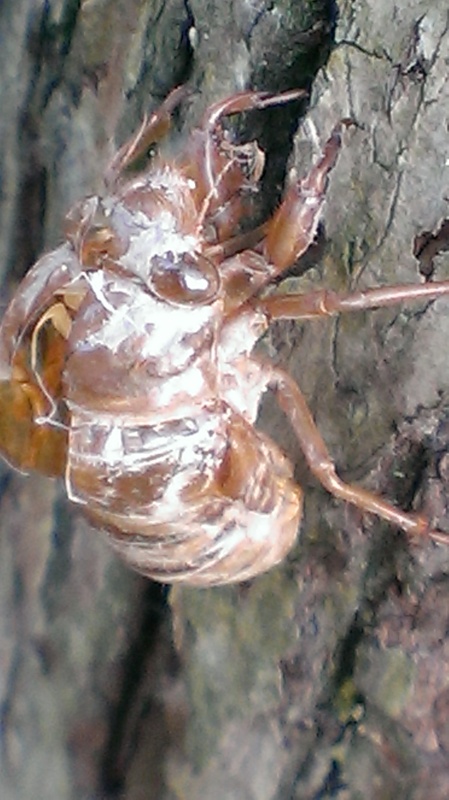 A shell left behind from the cicada’s old life. We’re all inside “shells,” waiting to emerge into something greater. I don’t know about you, but sometimes I just want to hang on to everything that’s already here. Not fond of change. But we’re all changing. So we can either move forward and fly into our dreams and goals, or we can drag our heels and stand beside old shells…wishing we could go back inside, wishing everything could stay the same.